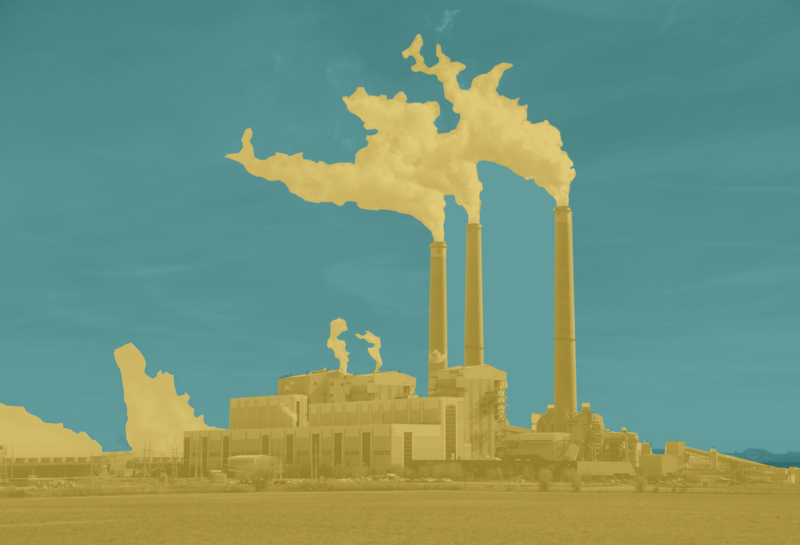 Two environmental law experts discuss threats to the EPA and other agencies. The new administration has already begun an expansive effort to chip away at environmental policy. To find out what’s at stake, on last week’s show we talked with two environmental law experts: Ann Carlson, the Shapiro Professor of Environmental Law at UCLA, and Michael Burger, the executive director of the Sabin Center for Climate Change Law at Columbia University. Here are some of the major points they made. How likely is it that the Trump administration will dissolve the Environmental Protection Agency entirely? “I think that it’s very unlikely,” said Carlson. “The difficulty in doing away with EPA altogether is that there are a bunch of statutes on the books that require EPA to do things—to issue regulations, to enforce laws, to clean up hazardous waste sites, and so forth. And so if you abolish the agency, you’d have to presumably also amend all those statutes to take EPA authority away. And that would be just a big political mess, and it would be really, really difficult,” she said. The EPA’s budget, for one, is a target. “If we see the kinds of budget cuts that the Trump administration is proposing—25 percent, 30 percent—of the budget, we’re just going to devastate enforcement and protection across the country,” said Carlson. The proposed REINS (Regulations from the Executive in Need of Scrutiny) Act could also undermine the EPA’s authority. “What the REINS Act would do, basically, is say that no rule that was passed by an administrative agency would take effect unless it was also agreed to by both houses of Congress and the president,” said Burger. What are examples of at-risk environmental legislation? President Trump has already signed a bill to repeal the Office of Surface Mining’s Stream Protection Rule, which had been designed to “eliminate waste-dumping from coal mining sites” into waterways, according to Burger. Congress is also attempting to roll back the Bureau of Land Management’s Methane and Natural Gas Waste Prevention Rule. The House has already passed a resolution to repeal the rule, and the president has said that he would sign such a bill. Furthermore, the president is poised to reverse former President Barack Obama’s Clean Power Plan, which was issued under the Clean Air Act. The Plan entailed a “pretty ambitious proposal to try to cut about 30 percent of the emissions of the electricity sector by 2030,” said Carlson. The energy sector is the second biggest emitter of greenhouse gases in the country after the transportation sector. Speaking of transportation, as of this morning, the president was set to announce a rollback of Obama-era fuel economy standards that were designed to “get us on a path toward much more efficient vehicles,” said Carlson. “The rules in particular that [EPA administrator Scott] Pruitt is going to go after are for model years 2022 to 2025—at least, that’s what we’re hearing. We don’t know whether he’s going to eliminate those rules altogether or just make them easier to meet,” Carlson said. “And then there’s a really complicated related question, which is whether he’s also going to take away authority from California, which has the power under the Clean Air Act to issue its own standards,” she added. What can people do to learn about and fight changes to environmental policy? People can also make themselves heard during public comment periods. “When an agency pulls back on a final rule, they don’t get to just say, ‘we’re done with it.’ They actually have to go through a regulatory process, which involves providing public notice and allowing for public comment,” said Burger. Supporting non-governmental environmental organizations is another way to participate. Organizations such as the Sierra Club and the NRDC “can keep track of a lot of the regulation, and can make comments” about policy, said Carlson. Finally, concerned citizens living in districts where their Congresspeople are thinking about supporting budget cuts that they don’t agree with can “call, write, make it clear that clean air and clean water and climate change matter,” said Carlson. Special Coverage: How Will Scientific Research Fare Under President Donald Trump? From cabinet nominees to Congressional wishlists, a look at what could realistically change for scientists in the coming years. In this segment, California governor Jerry Brown talks about how states can take the lead on issues like climate change and clean energy—with or without Washington, D.C.